I recently received some of the KBShimmer Summer 2015 Collection to share. And while I don't have swatches up yet, I have created some fun nail art with them. 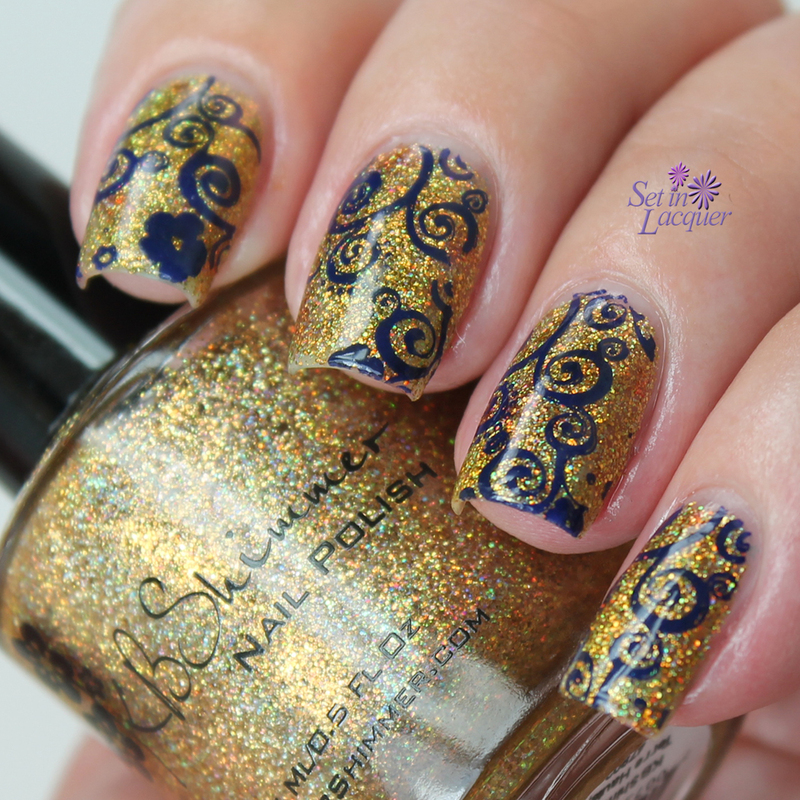 For this glitzy and glam nail art I used Sun & Games. This polish is a super blingy gold microglitter. I used three light coats for full coverage, but I honestly think two would suffice. To add a little bit of color I applied a few different colors of alcohol inks. I love how the inks give a subtle color change to the polish. Then I stamped over it using Fab Ur Nails image Plate Fun 14.